Judith Ann Sarett, 77, of Williamsport passed away Friday April 12, 2019, at the Williamsport Home. Born July 15, 1941, in Williamsport, to Julius and Ethel (Glattman) Kaplan, Judy grew up in Williamsport. She graduated from Williamsport Area High School in 1959 and from Penn State University in 1963. She wed the love of her life, Arnold Sarett, of Philadelphia, on Aug. 11, 1968, to whom she was married for 42 years before his passing. Judy worked as a speech therapist, starting in the Philadelphia School District, and then traveling to nursing homes throughout the Northeastern United States to assist those in need. While she enjoyed and continued her speech work throughout her working career, she also was involved in many family-owned businesses. She owned and operated M.E. Kaplan and Sons, a business founded by her grandfather in 1904. She owned a chain of Plants stores in the ’70s and ’80s, operated the local Val-Pak Distributorship and for over 50 years she was a co-owner of Faxon Bowling Lanes. She was very involved with her synagogue, Ohev Shalom. She was a lifelong member, served on the board and was a past president of the synagogue board, the first female to serve in such a capacity. Judy was a board member and past president of both the Williamsport Home and the American Association of University Women, a member of the Williamsport Chamber of Commerce and the Williamsport Country Club, and served on the Williamsport Zoning Committee. She was recognized for her contributions to the Israel Bond Drive in 2016. With her husband, Arnold, and her dog, Jake, at her side, she loved to travel the countryside and collect antiques. She led a life dedicated to service of others through her speech, businesses and volunteering. She was always available to help a friend in need, often accompanying friends to the hospital and being a great source of strength for those in jeopardy. An active member of her community she was very proud to call Williamsport her home. But above everything was her deep affection for her husband, children, grandchildren, friends and dog, Jake. Judy is survived by her son, Joshua (Rebecca) Sarett, of Princeton, N.J.; two grandchildren, Stella and Leo Sarett, of Princeton, N.J.; and her beloved dog, Jake, of Williamsport. She was preceded in death by her parents, husband and one brother, Arthur Kaplan. 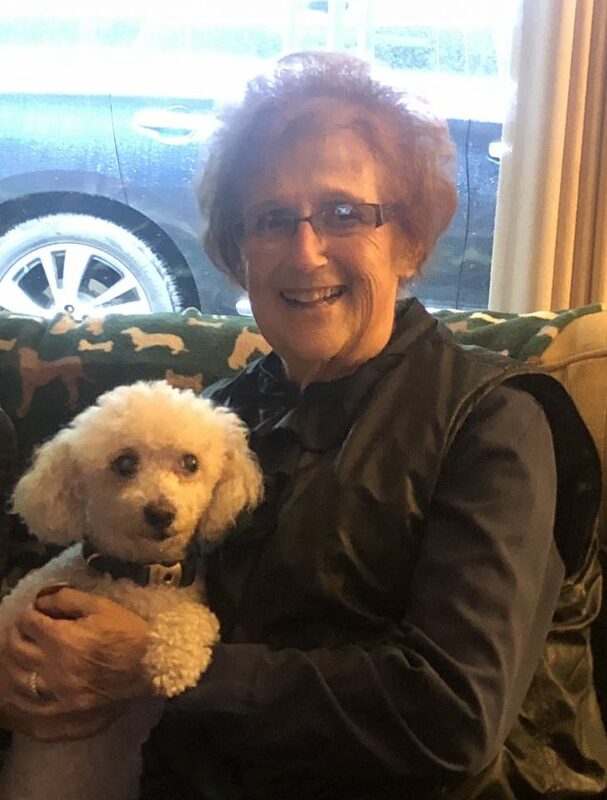 Friends and family are invited to her funeral service, Monday April 15, at noon, in the Ohev Shalom synagogue, with Marvin Horwitz officiating. Burial in Ohev Shalom cemetery will follow. Her family has entrusted the Maneval Allen Redmond Cremation and Funeral Service 500 W. Fourth St., Williamsport, PA, with her arrangements. To share a memory or condolence please visit www.jamesmaneval.com. In lieu of flowers, please make donations to Ohev Shalom Synagogue at 1501 Cherry St., Williamsport, PA 17701, referencing Judy Sarett.